John Palmer gives an overview of the ground-breaking Multi-Bureau Solution. We studied over 700 new and used car dealers across the U.S. and found that dealers who used the Multi-Bureau Solution increased sales and back-end profits. 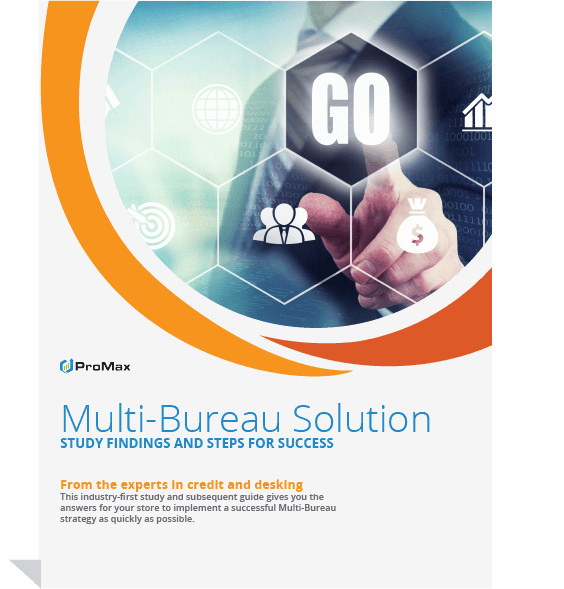 This ebook gives you the answers you need to successfully implement the Multi-Bureau Solution at your dealership.